I am thankful for my husband, who is supportive and loving and witty, and the *best* daddy out there. I am thankful for my daughter, who is sweet and bright and adorably funny, and has the most thoughtful little heart. I am thankful for both the family I was born into, and the family I married into. I am very lucky. I am thankful for my friends, spread all around the world. Today, on a holiday meant to be spent with those we love, I am especially thankful for the friends I’ve made since moving to California! Can’t wait to celebrate Turkey Day with you! I am thankful for a creative mind, and the opportunity to write every day. I am thankful for my CPs and beta readers and writer friends, who offer invaluable feedback, answer my fanatical emails, and email me just to check in. You all keep me sane. I am thankful for the writing community, especially the YA writing community. I am thankful for the amazing people I’ve met through Twitter and this blog. I can’t describe how much your friendship and support have meant to me, especially in the last few weeks. Your posting is ablleutsoy on the point! Love and thankfulness for you, Katy! You’re amazing! 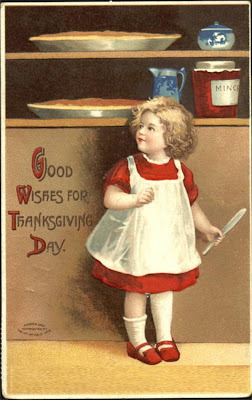 Hope you had a joyful and delicious Thanksgiving, Katy!